Honest Musky Guide Service (HMGS) fishes brown and brook trout all year in the driftless region of WI and MN. The driftless region of WI and MN is the non-glaciated area around the Mississippi River water shed running the southern border between the two states. The area is marked by rolling hills and valleys, through which cool yet fertile limestone based streams flow. In these streams, trout proliferate through natural reproduction, populations are large, and individuals get big. 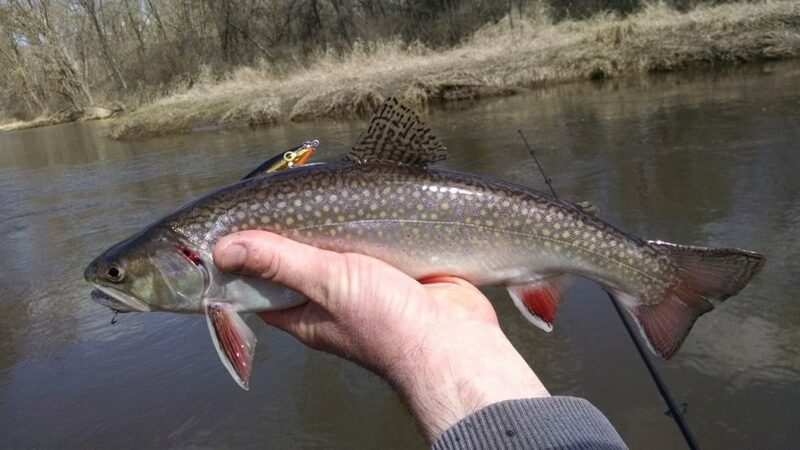 Due to new regulation, there are driftless trout opportunities all year long, and HMGS offers excellent four season trout fishing to people of any experience level. A multitude of fly fishing techniques are certainly enjoyable for those who choose to fish in that manner, but they are certainly not the only way to enjoy successful trout fishing. Trout fishing can be very simple and successful. Typically, we are fishing artificial lures and drifting live bait presentations on conventional tackle. HMGS trout trips can be tailored to meet the needs and expectations of any client. By choosing specific techniques and environments, we can choose between days of high action for numbers of fish or forego extreme quantity to chase the largest fish possible. Days of catching 20-40 trout when seeking numbers are common. 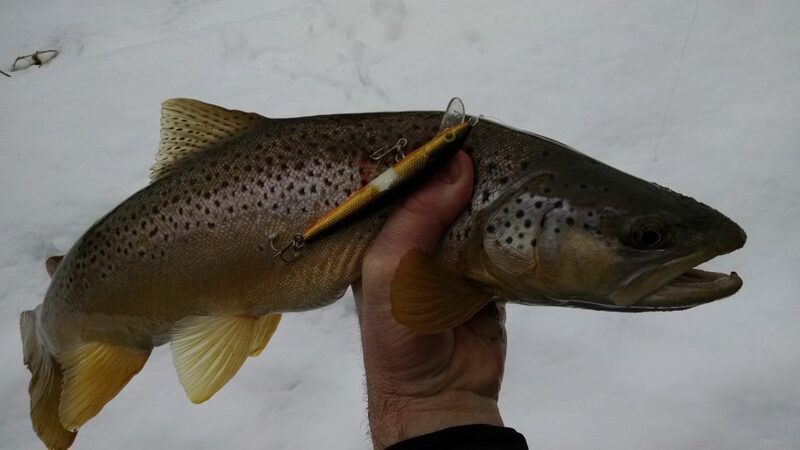 When seeking large trout, we regularly catch 18-20” browns, and sometimes larger.